After early breakfast drive to Nubra valley via Khardung la Pass (18,380ft) the world’s highest motor able road and gateway to Siachen Glacier, the views from the top of the pass are amazing. 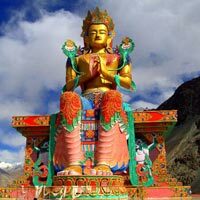 Visit Deskit Monastery (118kms) founded by Lama Sherab Zangpo in 1420 A.D. Packed Lunch will be provided (optional), post lunch visit Hundar village (7kms from Deskit) and Double-Humped Bactrian Camel Safari in sand dunes between Hundar and Deskit villages. Dinner and overnight at Hotel/Camp in Nubra. 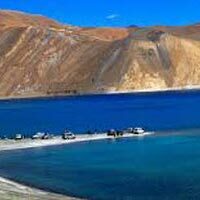 After early breakfast leave for Pangong Lake (14,500ft), 4-5 hrs drive one way through Changla Pass (17,350ft) third highest motor able road in the world. 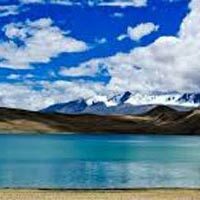 This famous blue brackish salt water lake is 5-6 kms in width and around 134 kms in length with 75 percent of its running the other side of the Indo China Border. 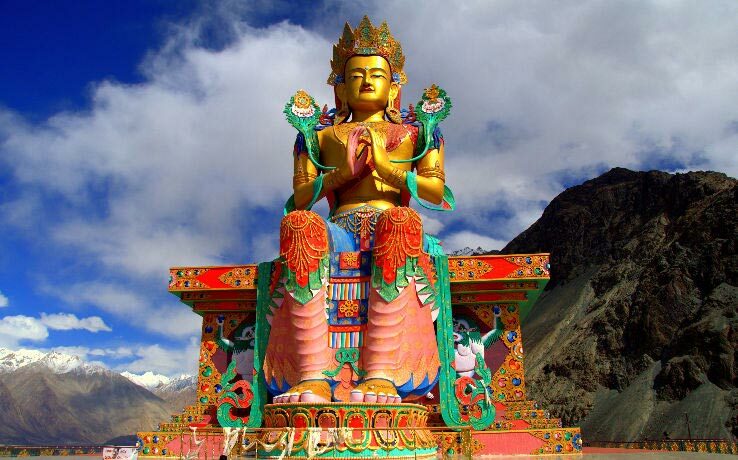 On the way visit Shey Palace (15kms) Shey was the summer Palace of Ladakhi Kings, where you can see three storied statue of Buddha Shakyamuni, made of copper and plated with gold. 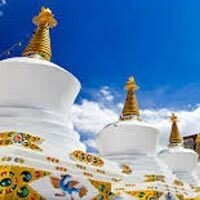 Thicksey Monastery (17kms) the 12 storied Monastery of Thicksey is the principal Monastery of Gelugpa order situated in the most prominent of positions lies on an island mountain, packed lunch will be provided (optional), dinner and overnight at Camp in Pangong.